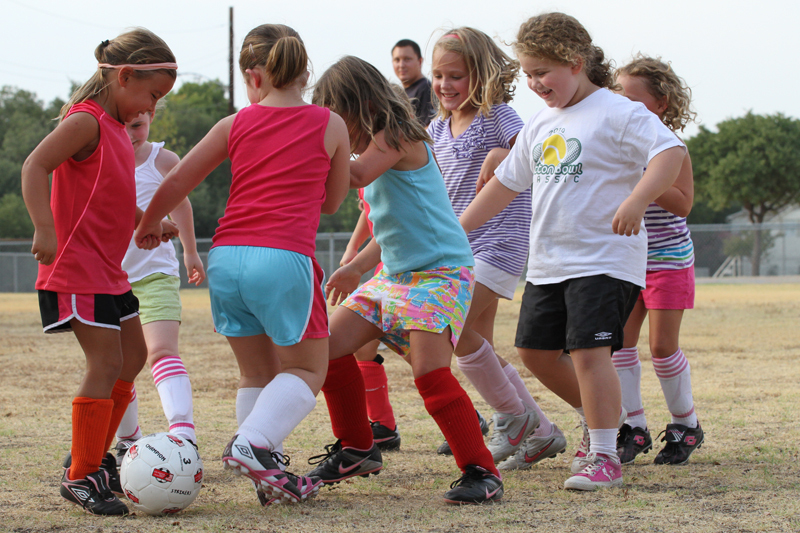 olivia decided trade in her ballet and tap shoes for soccer cleats this semester. 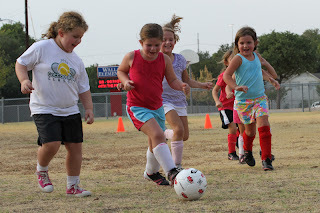 her big cousin abby plays soccer, kk was going to play, so it is only natural that olivia wanted to give it a try too! 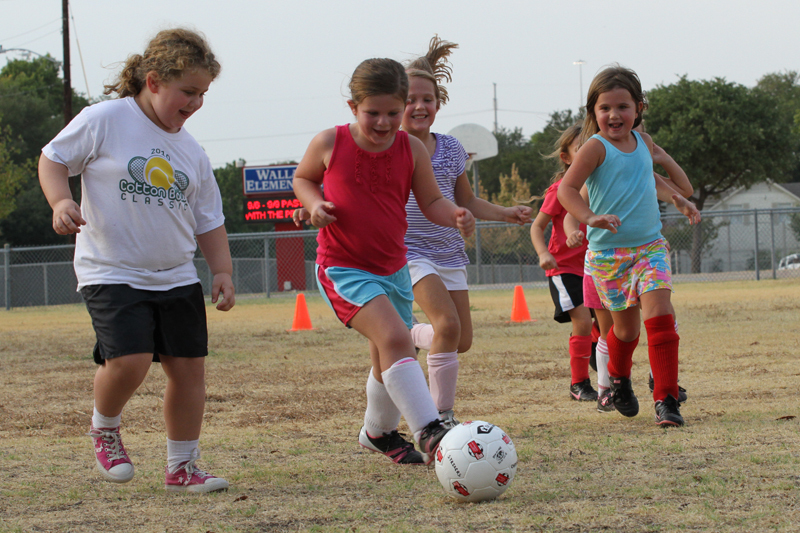 we had our first soccer practice and she LOVED it!! there is a perfect mix of new and old friends!! see she loves it!! 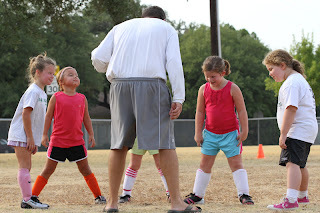 she needs some practice, but we were so proud of her for listening to her coaches and trying very hard through the whole practice. 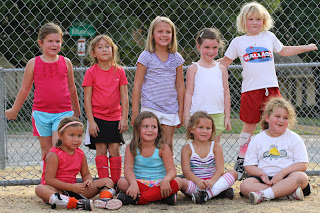 o is my child who doesn't love to sweat, be hot, or run too much- all things required for soccer, so i could not be more shocked by her enthusiasm and smiles in these pictures. 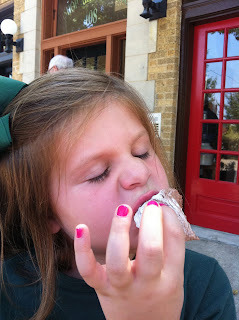 i am so thrilled that she is loving it. 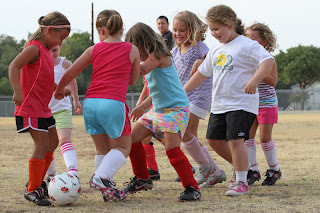 there are so many benefits to soccer- learning to play on a team, new friendships, a fun way to get some exercise, and spending time with kk, just to name a few!! here's hoping that the rest of the season goes as great as the first practice. go team LYON!! 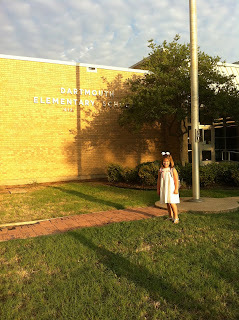 she was so excited to get to school and begin this new chapter in her life. i was so thankful she was full of smiles. such an answer to my prayers!! then after a short walk from being greeted by the principal to her class it started to hit me-- this is really happening!! she is going to be in school 5 days a week, all day!! oh my!! 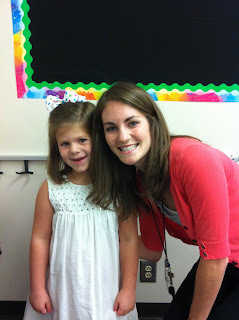 she was thrilled to see her teacher and even let me take ANOTHER picture. she found the perfect hook for her backpack, found her name tag, and then her spot on the carpet, and diligently began reading at the books waiting for her. such a good student!! as we waved good-bye one last time and walked out of the building, i have to admit, i was a little teary-eyed. a bit unexpected from me, and i continued to fight some tears as we walked home. 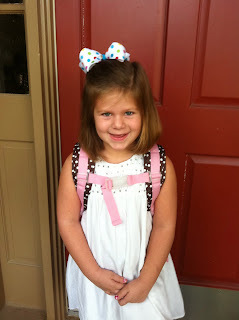 i just can't believe that she is almost 6 years old and in kindergarten!! i wondered all day what she was doing? is she was meeting friends? did she like her lunch? will she want to go back tomorrow? when i greeted her after school, she was still full of smiles and stories from the day!! success!! after school, we had a date with the fifer girls and all the grandparents at mcdonalds for ice cream and to tell everyone about the first day. the kids were more interested in the ice cream and playing, but their faces lit up to see all the grandparents there to give them hugs and smiles. i am so thankful that day one was a success from every aspect. i am humbled that the lord gave me the gift of this sweet little girl to love and experience life with day after day. i am reminded that he gave me this gift with the promise that he is there at each step of the way, always watching over her. he is always near. thank you god for your indescribable gift and your faithfulness, unending love, protection, and hearing my prayers. saturday is referred to as "daddy day" at our house. 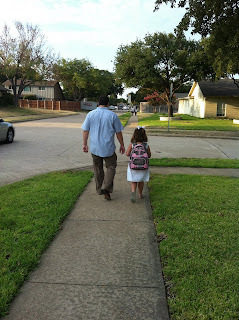 sadly, it is the only day of the week that we have a long, uninterrupted time with daddy. weekends that we are in town or don't have plans (which seems to be just a few) we try to do something fun, just our little family. today after olivia got her back-to-school haircut (shout out, missy!!) 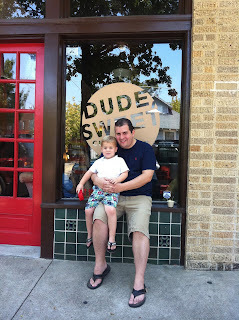 we loaded up and daddy took us down to his new favorite spot in dallas- oak cliff! yep, mark is officially in love with this part of town. he has a new business venture in this part of the city so he spends several hours a week down there and comes home raving about "the best cup of coffee" he has ever had or the "neat ambiance" and one of the many fantastic restaurants he has discovered. 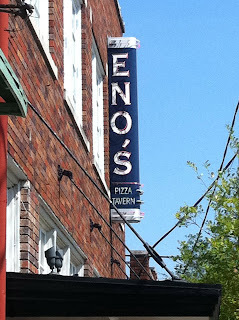 we had finally killed enough time and eno's was open!! we walked across the street to this italian kitchen. everything on the menu looked delish and everyone was smiling when our food arrived at our table. every bite i put in my mouth was great!! and thought it seemed like the perfect spot to grab something sweet. the kids got these homemade marshmallows that were super tasty. can you tell o thought they were good? we ended our trip at urban acres market store. it is a local, organic farm to market store with coolers filled with farm fresh eggs, milk, and cheese, bins overflowing with organic peaches, plums, oranges, and tons of veggies, plus freezers stocked with grass-fed beef, farm-raised chicken, and shelves lined with a great variety of gluten-free products. our good friends own this business and mark has joined them in this business venture. you should should check it out if you are into local and organic food. :) we picked up a few things and can't wait to enjoy them this week. 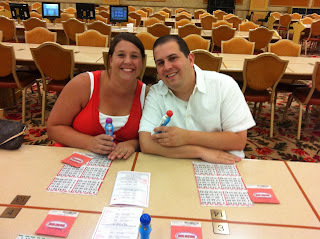 mark and i just got back from a fun little get-a-way to las vegas!! it was such a treat to have time away and have uninterrupted time to talk and spend time together. we celebrated our 10 year wedding anniversary early this summer (june 23) so we used that as our excuse to plan a vacation for just the two of us. it was a really great trip. again, i didn't take many pictures, but at least i have a couple to remember our trip. mark in front of our hotel, aria. beautiful wall of water. i was obsessed with the BEAUTIFUL hydrangeas at the bellagio. they are my favorite flower and were gorgeous there. frog singing "what a wonderful world" at the wynn. just one picture to represent the AMAZING food that we had while we were there. 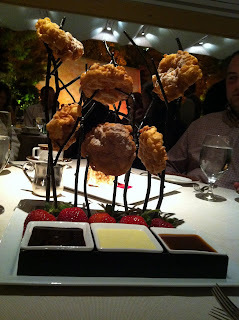 this won my vote for the "best presentation" for dessert. funnel cakes with delish dipping sauces. yummmmmm!! while we were away the kids had their own vacation staying with all of their favorite people- b and pop, chrissie, the fifers, and ending the week with nana and gramps. 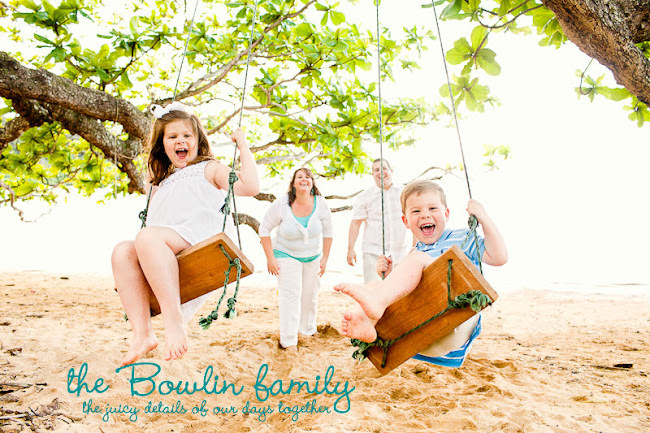 i am so thankful for a family that loves being with our kids and is willing to have them so mark and i can get away. olivia went to art camp and cheer camp with kingsley. she loved them both!! 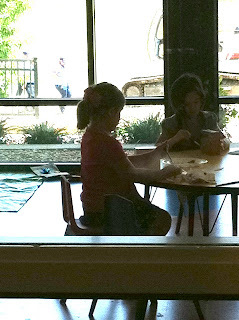 o at art camp. terrible pic, i know. 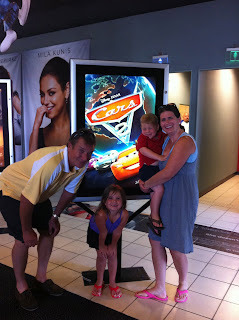 we spent fourth of july at the lake with the bowlins, but one of the highlights for the weekend was we all (blanchettes, bowlins, and fifers) met to see cars 2.
my dad and rara really wanted to see the movie with jack, so the only logical solution was to all go together. jack LOVED the movie and i think the rest of enjoyed it as well. it was a fun afternoon. the other BIG news of the weekend was olivia trying to do the kneeboard and being super brave!! she is still working on it, but i am so proud that she keeps trying!! we spent time with b and pop at their house and had a few bubble baths in their "jet tub." 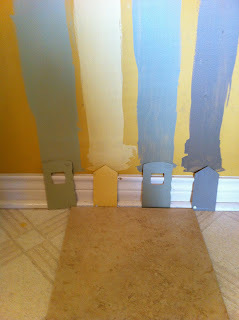 we started updating our kitchen. that was a large part of my july. 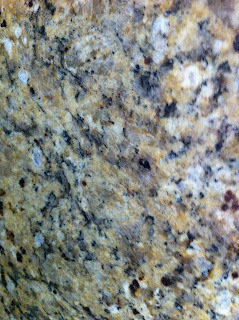 (more on that later) i spent lots of time looking at paint, tile, and granite. 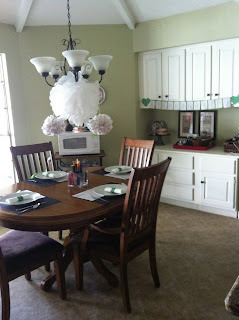 i was able to use my creative side and make a few decorations for a special baby shower. there were a few pedicures scattered in as well. olivia might love a pedicure as much as her mommy. :0) kk loves them too! and of course we swam a ton! it seemed like the only thing to do to beat the heat and the kids LOVE it! !